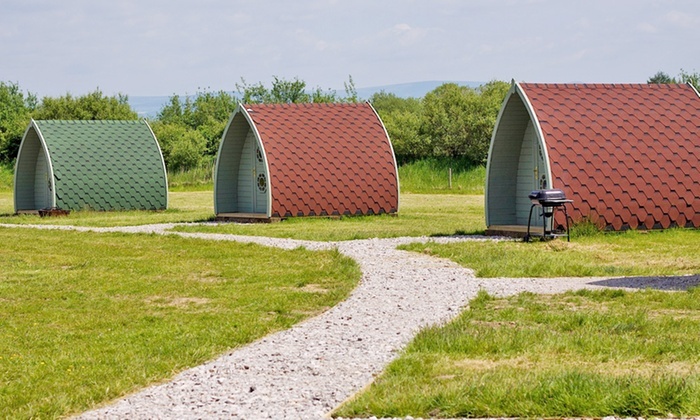 Cheap Glamping Break near Blackpool anyone? Enjoy a break in one of these great little pods near Blackpool with a selection of dates and options for you to choose from. 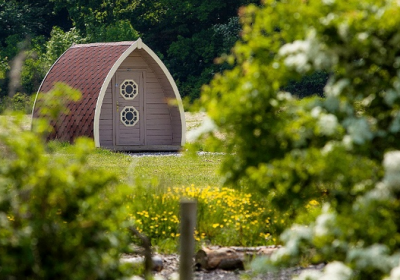 Set just a 15-minute drive from the famous seaside resort of Blackpool, Stanley Villa Farm Camping invites holidaymakers to enjoy a glamping experience in the peaceful surroundings of the Lancashire countryside. Guests can make most of the walking paths and nature trails around, while the property’s lake and its wildlife provide picturesque scenery and fishing opportunities. Insulated camping pods are kitted out with two beds, mattresses, battery-powered lights, and coat hooks. To complement a genuine camping experience with campfires and outdoor cooking, every pod boasts its own fire pit and barbecue. Power sockets, kitchen facilities and utensils, as well as toilets and hot showers can be found at the Lakeside Lodge which also features a large common room. Bordered by Liverpool and Manchester, Lancashire is on the doorstep of the Lake District National Park and Yorkshire Dales National Park, making it possible for globetrotters to experience both the urban and the outdoor tourist, sports and entertainment opportunities of North West England. Blackpool Pleasure Beach is ideal for travellers who want to soak up in the sun of northern England, whereas the outdoorsy can relish the thrill of a hike or of a memorable snap in West Pennine Moors, Pendle Hill or of WWT Martin Mere. More to explore lies at travellers’ feet: Areas of Outstanding Natural Beauty such as Arnside and Silverdale with its Leighton Moss RSPB reserve, and Forest of Bowland. Is this still avalible ? Hi we are looking for 3 or 4 nights in September either the week of the 1st September or the week after, what can you offer please? There will be two of us. How close is this to Blackpool itself the town? Hi I’m look for the 19th 22th October pleased send more details. Can 4 adults stay in one pod or does it have to be 2 adults 2 children? Hi there, I have quite a few glamping breaks listed on my blog which you’re welcome to look through. How do you book these? Is there a website for this as the link isnt loading? Due you take older 30+ ladies hen party’s?? 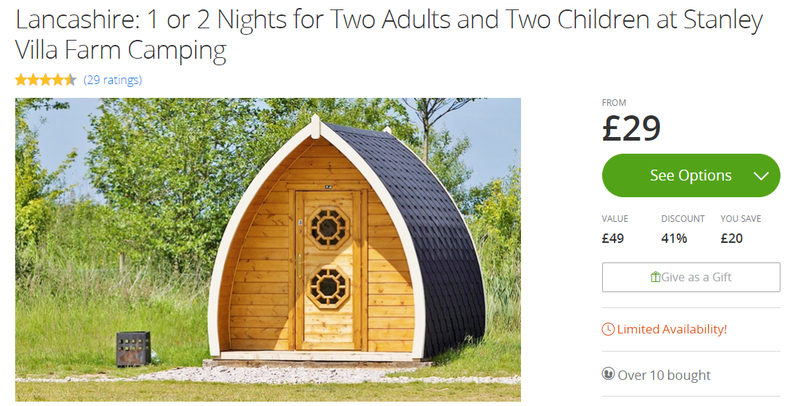 I’m enquiring about your pods we would like to book two at the end of September on a Saturday it only says in ur deal Sunday to thurs …any avalbikty weekends? Hiya. I’ve tried clicking the link on the glamping break in Lancashire and it won’t open/load or anything…is there another way I can book?? Thankyou. This might be s stupid question but are these heated? Look Lovely will certainly be interested in trying these out. Just wondering are dogs aloud in them. As we have a small dog. And she’s no trouble. Have you a pod available near Blackpool, for one night we commencing 15Aug? Are you wheelchair accessible ??? Hi I want to book a room for 2 please for in August. Hi do you do Friday 21st April to sunday? Is there a rail link as i dont drive ? Does it have to be families or can groups of friends go? hi I was wondering if three girls would be able to go for three nights as all options say is two adults and 2 children? Is there any pictures of the inside? We would love a glamping holiday however we have 3 children. 1 who is 19 months old & Co sleeps with us. Would it be possible for us to go? Or is there another option. Is their a bus route near by as me or my partner don’t drive? Hi when are they dates available in the next couple of weeks? Really interested in this but how far is the nearby lodge?